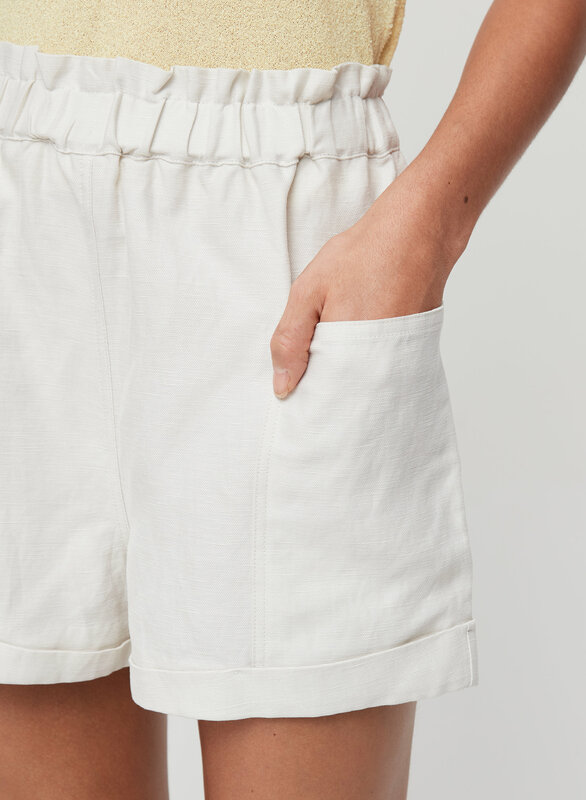 These shorts have a gathered waist and roomy patch pockets. 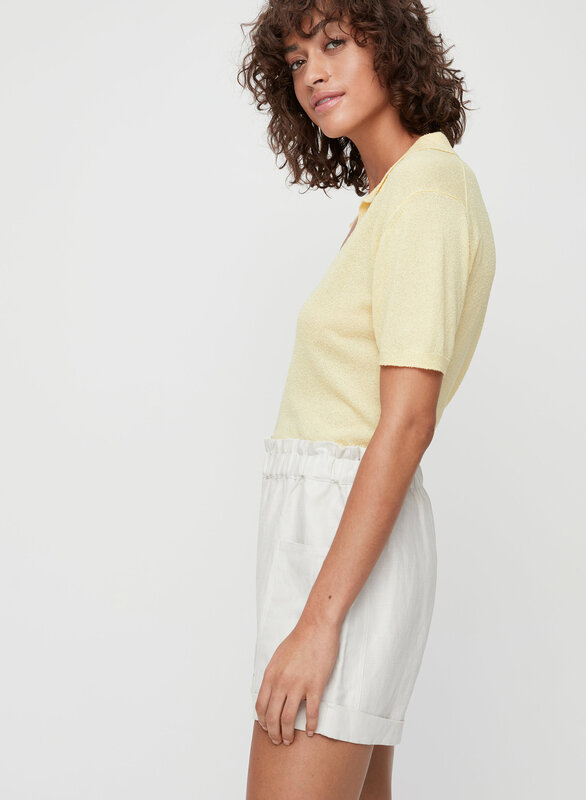 They're made from a lustrous fabric with a lived-in feel. Love the fabric, good weight, soft, washes well, good fit. 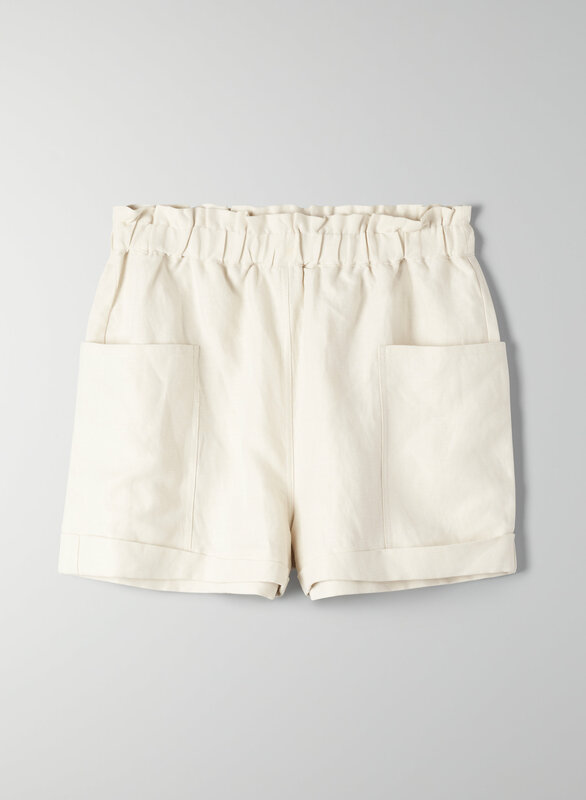 Comfy, easy pull on shorts with a respectable inseem length. 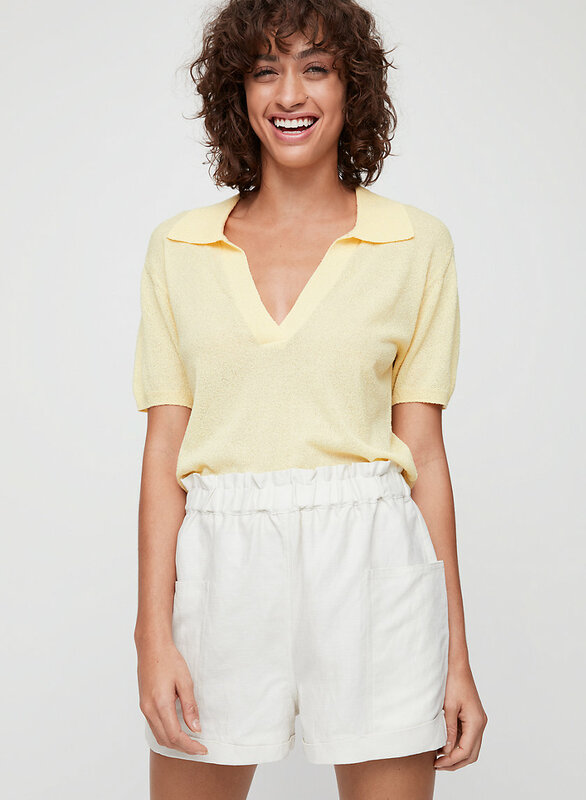 High waisted which is great, but quite baggy in the crotch which gives kind a weird front bum look? Usually a true medium in bottoms but probably could've done a small as they loosen with wear. 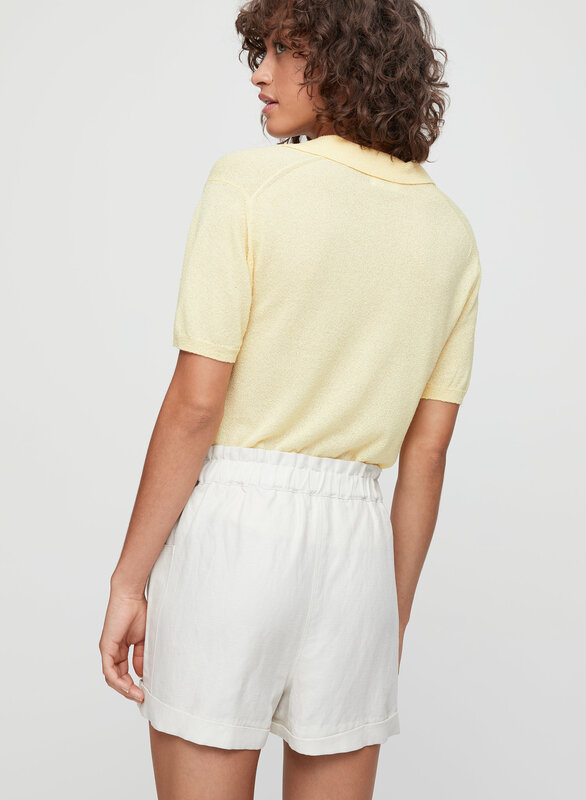 Fix the front bum Aritzia and you will have a perfect pair of shorts!